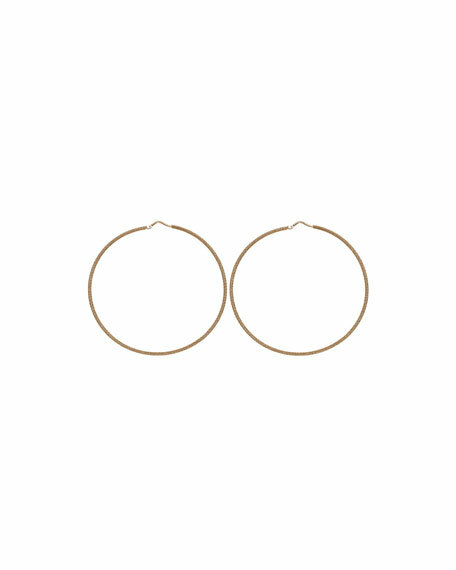 Ippolita uses organic lines to break with convention, crafting modern, minimalist hoop earrings that you can wear virtually anywhere. 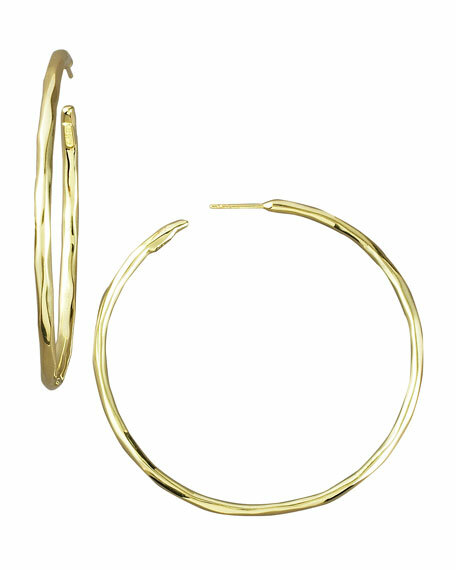 Wavy hoop construction with lightly hammered finish. 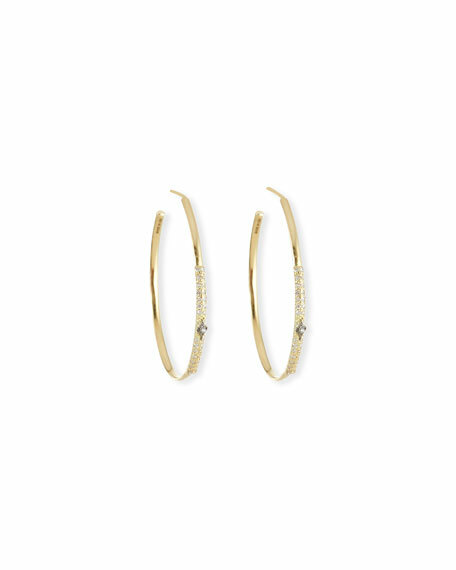 Florentine hoop earrings by Carolina Bucci. Traditional Florentine beaten finish produces permanent facets that catch the light. 18-karat yellow gold. Post backs for pierced ears. Approx. 2.6"H (6.5cm). Made in Italy. 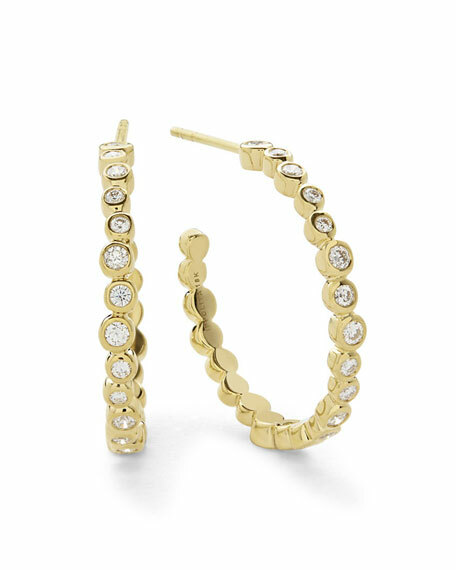 Ippolita Stardust hoop earrings in 18-karat yellow gold. Round-cut, mixed-size diamond bezels. 0.676 total diamond carat weight. Post backs for pierced ears. Made in Italy.